Preppy Pink Crocodile: Why Do Birthday's Come Every Year? Today is my dark day. Birthdays are really hard when you are not where you want to be in life! The are just big day-glow reminders of time ticking away. But I have BIG plans to put out big bunch of positive energy into the world today. Maybe a little bit of it will find its way back to me this year. OH Happy Birthday! I know that I dreaded my birthdays until after my 30th (which was the WORST). They got better and better from there, though! Celebrate you!! Happy Happy Birthday! Hope this next year will bring new and exciting changes in your life! Happy, happy...and kill it with positive energy!! 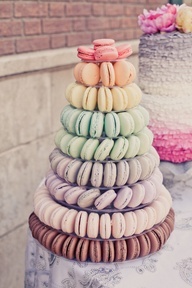 And I think I'd be willing to turn anything if I could have that macaroon cake!! HAPPY BIRTHDAY!!!! 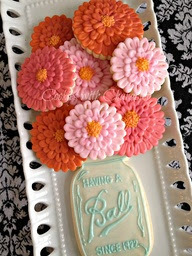 Thinking of you - enjoy! happy birthday! sending you lots of positive thoughts! Happy Happy Birthday!! Praying this year will be the year all of your hopes & dreams come true! !